Our natural health solutions are based on scientific and objective testing. The Science Based Nutrition™ report provides individual, drug-free recommendations to promote optimum health based on imbalances and dysfunction identified from the test results. The Science Based Nutrition™ program is an innovative, science-based look at nutritional strengths and weaknesses through an individual’s blood test. This scientific approach can offer a clear plan for your optimum health. 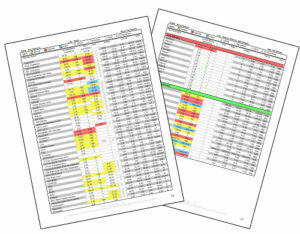 CLICK TO DOWNLOAD A SAMPLE REPORT NOW! 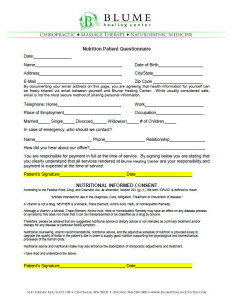 Click on the image to download and fill out the forms for a nutrition consultation and evaluation with Dr. Passey. It is important that you read and fill it out carefully and completely. Please be very specific in the section about medications.